Babies have to come after marriage? 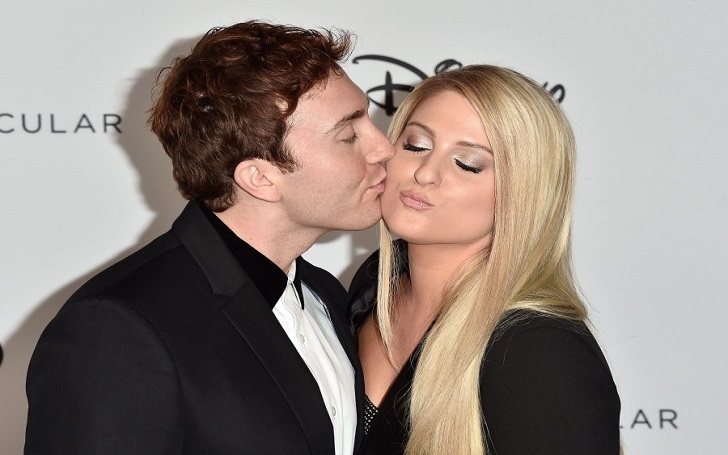 It 's been less than two months since Meghan Trainor got married to loving boyfriend Daryl Sabara and on Thursday, February 7, the All About That Bass, 25, singer exclusively spoke out to Us Weekly about having desire to be a mother. Meghan, 25, told the publication at Delta Air Lines’ pre-Grammy party at the Mondrian West Hollywood, "Honestly, I’ve always wanted to be a mom, way too young, even before I met Daryl [Sabara]." The songstress also expressed her passion to make babies with the Spy Kids alum, 26. She added, "I’m like, ‘I want to make more of us. So I’m always in and out like, ‘Let’s do it now.'" Her husband, meanwhile, has no rush for the musician. Meghan said, "I’m like, ‘You know, let’s tour an album and then see what happens,'." It’s sooooo good. I love being married. We’re like, ‘Ah, why didn’t we do this before?’ … Everything is perfect and he’s amazing and he’s even more lovey-dovey and romantic than ever, which is unheard of and not real nowadays. As we previously reported, Meghan and Daryl became married in a romantic backyard wedding ceremony in their home in Los Angeles. More than 100 guests, including the couple's family members and close friends, attended their wedding on Meghan's 25th birthday on Saturday, December 22. Meghan, who released her latest EP, The Love Train, on Friday, February 9, and Daryl got engaged under a tunnel of Christmas lights in December 2017.